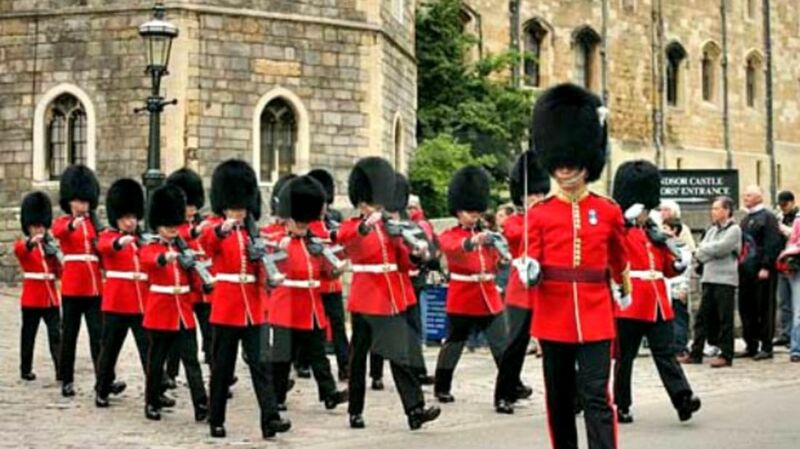 Being a member of the Queen's Guard has got to be tough. Not only are they expected to defend the royal family from any number of threats at the drop of a hat, they also have to put up with annoying tourists trying to break their famously stoic expressions. Though the soldiers have to adhere to a strict set of rules regarding their behavior, there are times when they're not quite so serious. Here are a few of them. 3. When they played "The Final Countdown"
The Army was apparently not pleased with the guard's variation on the traditional walk, saying, "We are aware of the video. Anyone who is found to fall short of the Army's high standards can expect to face appropriate action." Again, the Ministry of Defence was displeased. "We are aware of the video and will be investigating it," a spokesperson said. "Should any member of the personnel be found to have fallen below expected standards of behaviour, they may be subject to disciplinary action."